Rev. Tom and Karen Puffe | "Northern Crossings"
Rev. Tom Puffe is one of those preachers that we talk about on this blog that shows the connections we have up here in the North Country. He was in North Dakota for many years and his family is in Grand Forks. 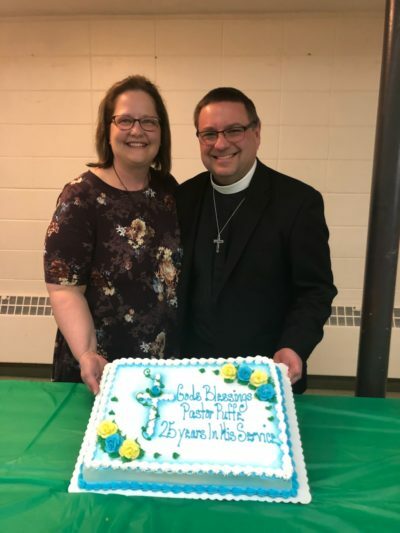 Pastor celebrated 25 years in the ministry a while back and I missed it. He is now serving in Thief River Falls at St. John’s and Zion at Warren MN. Congratulations to Pastor and Karen.